On Tuesday’s show, our State Senator Kathleen Passidomo and I discuss some of the bills that were signed or vetoed by the Governor Scott as well as thoughts on the next legislative session. The President of Less Government Seton Motley and I discuss “fake news” and the firings at CNN. 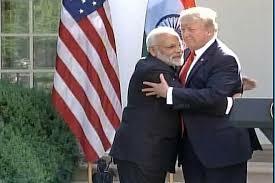 We visit with Washington correspondent Jim McTague about the significance of the meeting of President Trump with the President of India. We also visit with Boo Mortenson in Madison, Wisconsin. We have great guests lined up for Wednesday’s show including the Founder and President of the American Islamic Forum for Democracy Dr. Zuhdi Jasser, Bob Levy from the Cato Institute, author and Professor at the University of Houston Larry Bell, and local author and political activist Andrew Joppa.